Researchers say that changes in the climate could lengthen flights from Europe to the U.S. 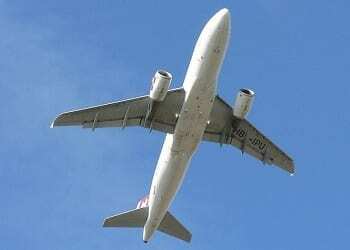 According to a study recently published in the journal Environmental Research Letters – conducted by a team of University of Reading researchers, lead by atmospheric scientist Paul Williams – climate change could make flights from Europe to America longer and flights traveling in the opposite direction faster, due to its effects on jet streams. A doubling of atmospheric CO2 could speed up jet stream. Jet streams are exceptionally strong winds that are responsible for moving weather systems around the world. These winds can reach speeds of up to 200 miles an hour. However, the researchers discovered that a doubling of atmospheric CO2 (carbon dioxide), could make jet streams even faster, which would likely have a notable impact on transatlantic flights, resulting in both benefits and drawbacks. The researchers examined the effects that the doubling of CO2 in the atmosphere would have on jet stream and calculated that these winds, between New York and London, would become about 15% faster during the winter, with similar results at other times of the year, as well. Therefore, flights from New York to London would become about twice as likely to be less than five hours and 20 minutes while, on the flip side, there would be an increased chance that flights from London to New York would be longer than seven hours. To put this into better perspective, presently, according to Skyscanner, the average flight times between London and New York are approximately seven and a half hours westbound and about six hours and forty minutes eastbound. The impact climate change has on flight routes may not be restricted to the northern hemisphere. However, as far as transatlantic flights are concerned, the study suggests that planes traveling this route will spend an additional combined total of 2,000 hours in the sky, each year, which would result in the burning of 7.2 million extra gallons of jet fuel; a $22 million cost. As for the impact these extended flights will have on carbon emissions, it is estimated emissions will increase by 70 million kg, which is about equal to the emissions produced by 7,100 average British homes, per year. That being said, it should be noted that, in their study, the researchers took into account only time spent at cruising level and left out ascents and descents, which could make flights longer. Furthermore, the effects climate change has on jet streams are still being debated. As for when atmospheric CO2 is expected to double, this is also unknown, but the university researchers claim it is likely to occur in the next few decades unless emissions are rapidly cut.